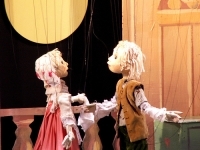 The Budapest Puppet Theatre (Bábszínház) is a great outing for the whole family, ideal for travel in Budapest with kids. While shows are all presented in Hungarian, children remain enthralled by familiar stories like Cinderella and Snow White. During enactments, the crowd may can be heard calling out warnings when villains are approaching or encouraging heroes in their endeavours. It is amazing how little the language barrier matters when it comes to this kind of storytelling. You can book tickets online in advance but it is also suggested asking about what is showing and would be best suited for non-Hungarian audiences. The puppets are works of art and come in all shapes, sizes, and colours, with some easily recognisable characters and some creative originals. Most adults will enjoy the performances but you can also easily head for the cafe during the show.